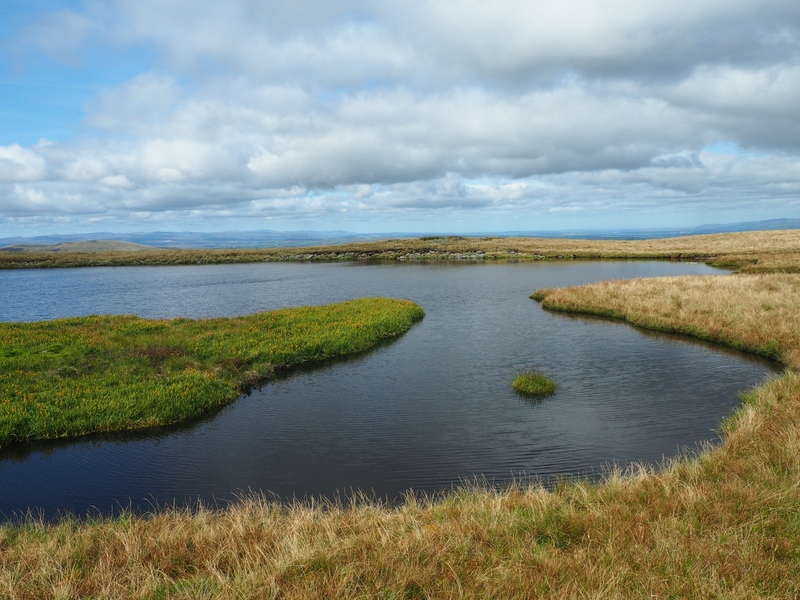 Sand Tarn is located a short distance to the west of, and sixty metres lower than, the summit of Wild Boar Fell. 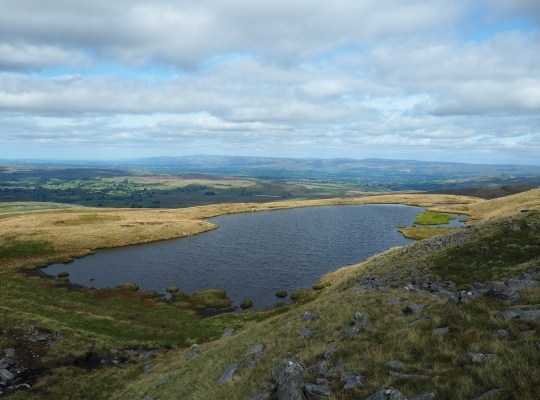 Unseen from Wild Boar Fell’s trig point it is a worthwhile detour as it is one of the loveliest tarns in the Dales. Situated in a small sheltered hollow below the steep upper slopes of Wild Boar Fell, Sand Tarn does indeed have a tiny sandy beach. Indeed in days gone by folk from as far away as Sedbergh apparently trekked up to the tarn to collect sand in order to make strickles for sharpening tools. 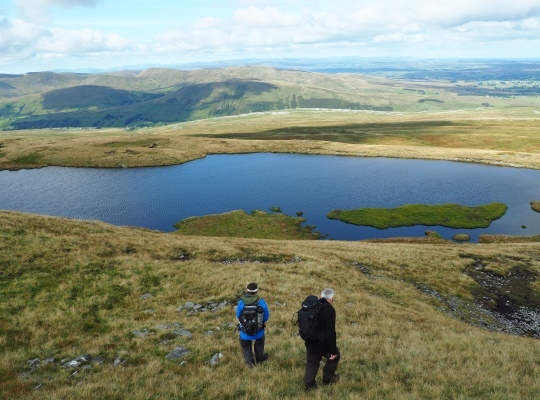 Sand Tarn is a splendid place to stop for a picnic and it also provides a fantastic foreground for some truly sweeping views north-west over the Eden valley. Definitely one of my favourite tarns, Sand Tarn was only incorporated into the Yorkshire Dales National Park following its extension in August 2016.